Stantonbury. 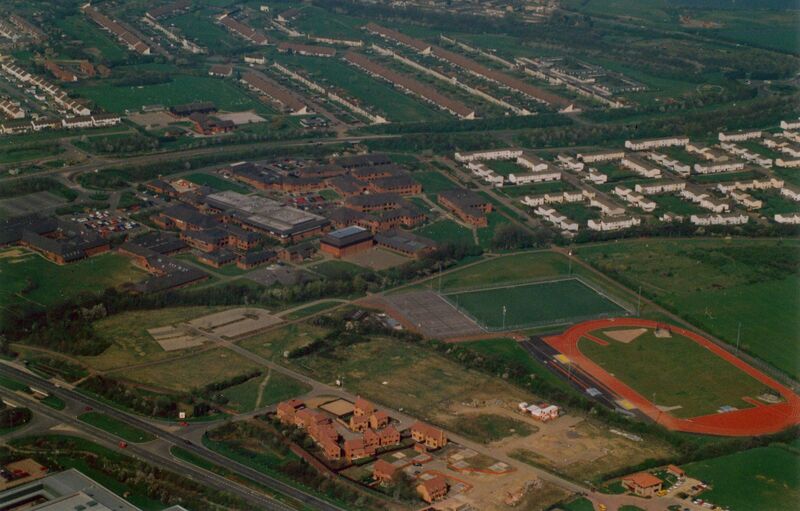 H3 runs at bottom left with private school and athletics track to the right. V7 runs across the top with Stantonbury Campus centre left.